If there’s one lady that always oozes style, class and sheer sophistication, it’s Russian Fashion Designer, Ulyana Sergeenko. She’s been setting the style and blogging world alight with her effortlessly elegant outfits and glitzy, glamorous statement jewellery, that perfectly enhances her Porcelain-skin and pinup figure. OK, so we might not all be married to a billionaire, yet with Sophie’s Closet it’s easy to steal her style for a fraction of the price tag. 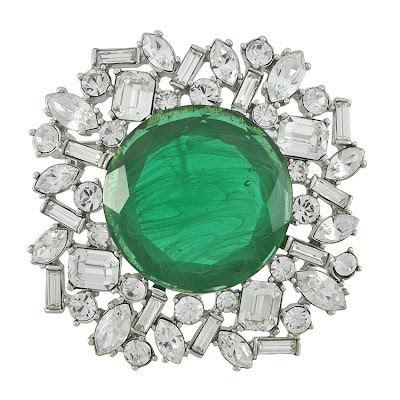 For instance, we can copy Ms Sergeenko’s love of brooches with these ever-so-similar styles, such as this simply stunning Kenneth Jay Lane Large Emerald Centre Brooch or our Kenneth Jay Lane Art Deco Crystal Dress Clip, both are Rhodium plated and enhanced with Swarovski crystals. 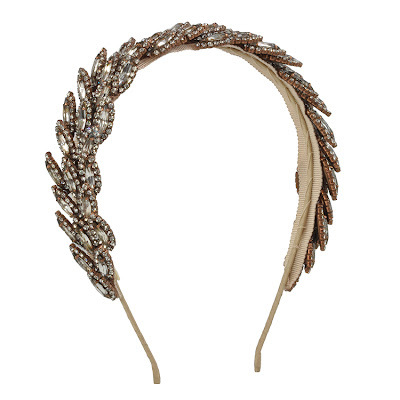 We have an exact match of Ulyana’s exquisite Louis Mariette Amour Crystal Headband. 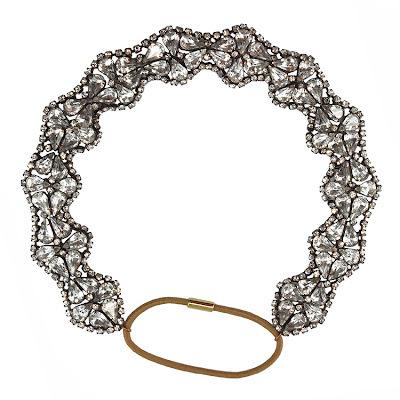 This elegant accessory is so easy-to-wear, for day or after-dark and adds an ideal amount of sparkle to any attire. 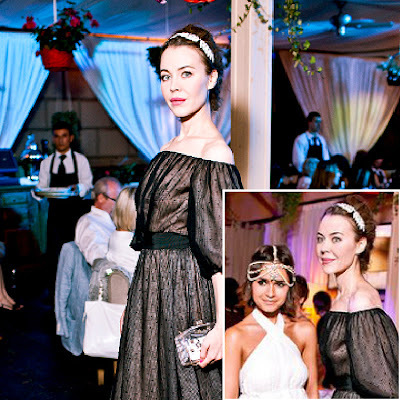 We love the way beautiful bow headpieces are taking centre stage right now. Wear yours for a special event with a floor-sweeping maxi gown a la Ulyana Sergeenko, or simply wear one by day to add cute appeal to your daytime dressing. 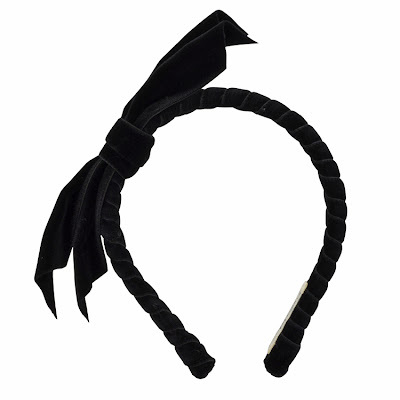 This Jennifer Behr Black Velvet Bow Headband will do the job perfectly. 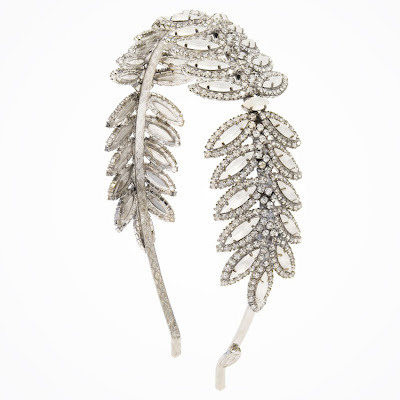 For ultimate scene-stealing style, choose an evening headpiece such as this Jennifer Behr Agnes Ice Crystal Headwrap or the Jennifer Behr Sabrina Crystal Leaf Headband, expertly hand-crafted with individually jointed Swarovski crystal leaves. 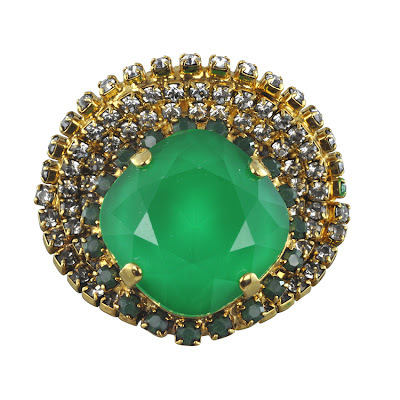 Add interest to your fingers too with our wonderfully wearable Erickson Beamon Bette Emerald Ring. It’s a key colour this season and will bring a bolt of fun and colour to every day of the week. 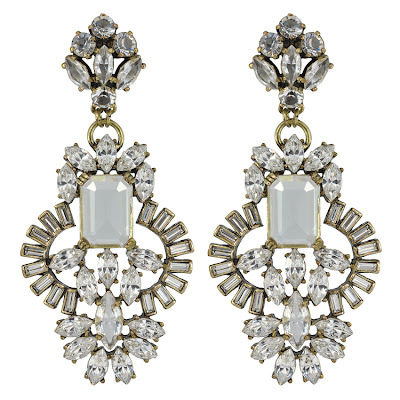 Known for her love of statement drop earrings, Ulyana never fails to impress in the ear department. 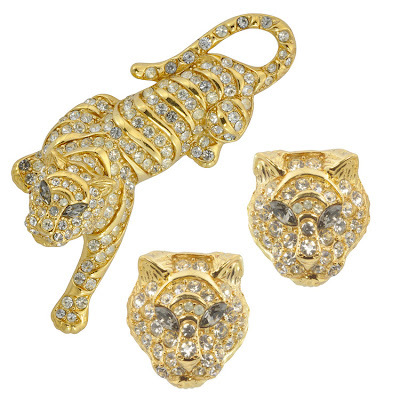 You too can adorn your earlobes in some seriously stylish shimmering gems with our Kenneth Jay Lane Antique Drop Earrings,Badgley Mischka Large Deco Earrings or animal-inspired Mawi Spiked Panther Head Gemstone Earrings. 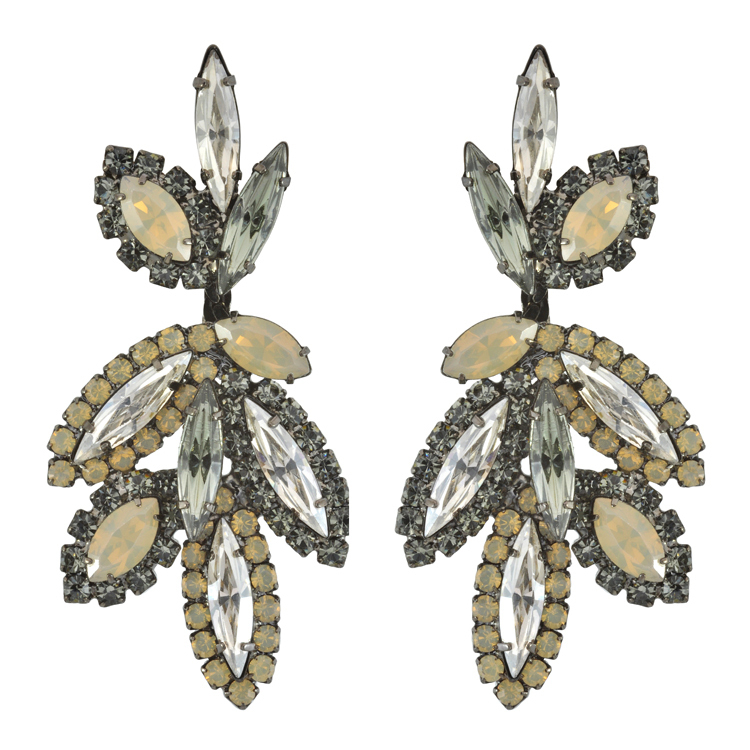 And Sophie’s Closet is not all about jewelry; our stunning accessories will ensure you create a top-to-toe polished look. 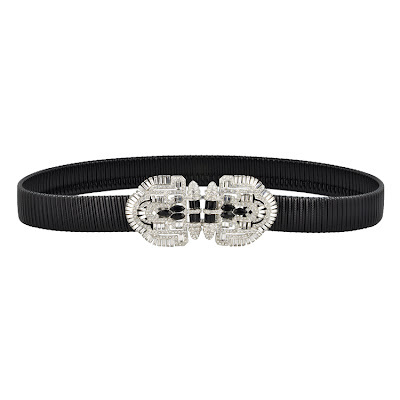 Our Kenneth Jay Lane Art Deco Crystal Belt, with stretch metal links, Swarovski crystals feature and Rhodium plated finish helps every woman create a Hollywood-esque hourglass figure as well as adding art deco style to your dresses and evening outfits. See you soon for more style talk and fashion news. Recently we saw the celebs and supermodels out in force for the fashion event of the season - New York Fashion Week. 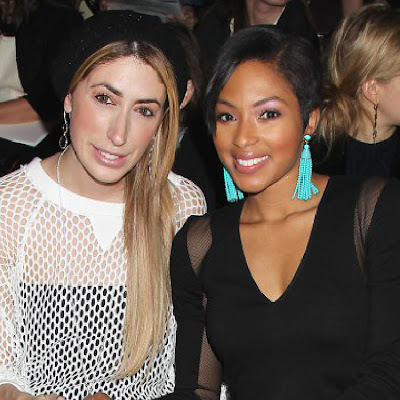 As always, the fashionista’s filled the front row in their finest attire, so we thought we’d take a closer look at the gorgeous gems and glitzy jewels that adorned the FROW. The ever-glamourous Miroslava Duma secured her style-setter status by wearing one of her trademark statement necklaces to sit front row at Theyskens’ Theory F/W 2013. Glitzy gems are always the order of the day for the former editor of Harper's Bazaar Russia and her chic colourful cluster last week was no exception. 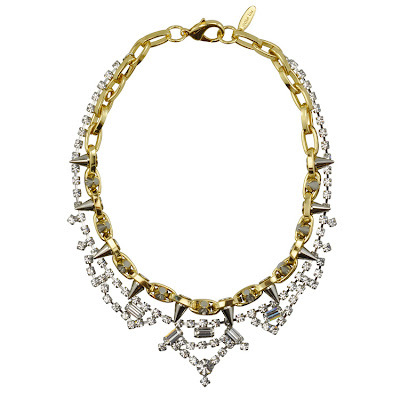 Get her look with our Shourouk Rita Cadillac Necklace, designed with Swarovski crystals, brass chain and neon sequins. 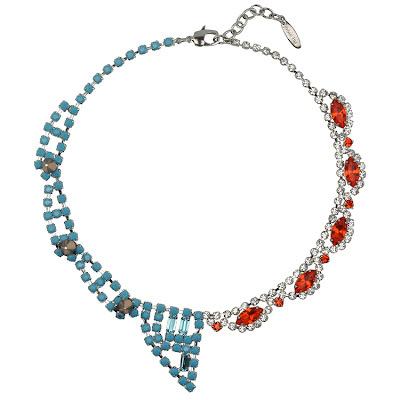 Or opt for our coloured jewelled Joomi Lim Split Personality Necklace - silver plated and enhanced with Swarovski crystals, it’ll ensure your neckline gets all the attention! 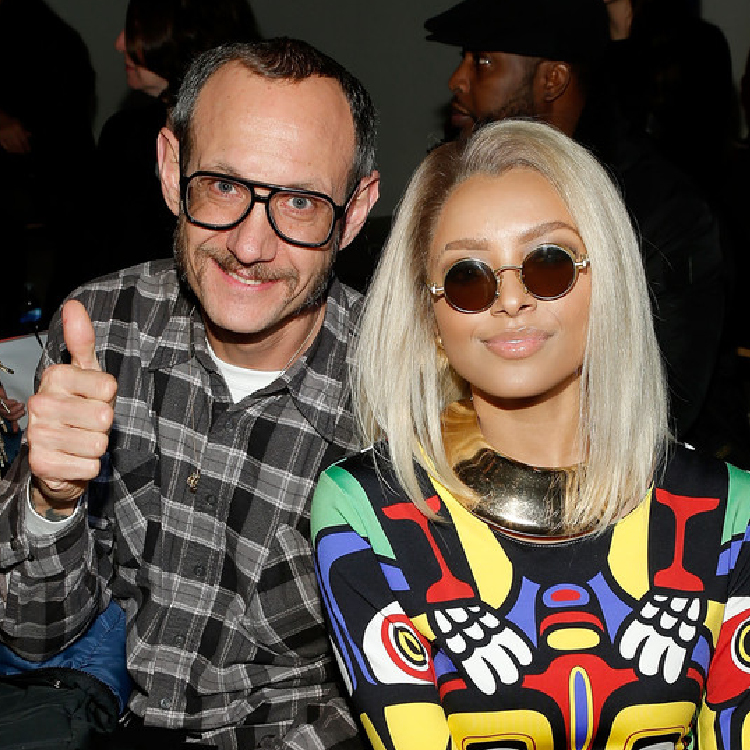 Gorgeous gold was out in force at both New York Fashion Week and LFW too! Kat Graham was just one style setter at the Jeremy Scott show wearing a stand-out solid gold moulded necklace. 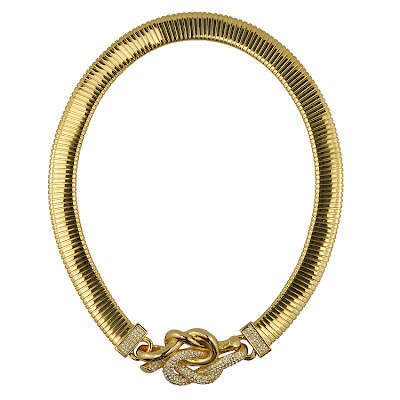 Give yourself a touch of gold with this Rachel Zoe Love Me Knot Collar Necklace. 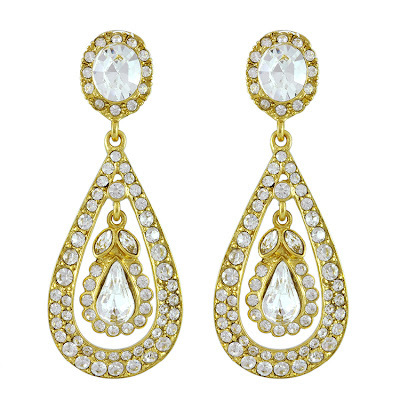 Gold plated, Swarovski crystals and with a hidden interlocking hook closure. It’s an outfit-transforming piece, whatever the occasion! 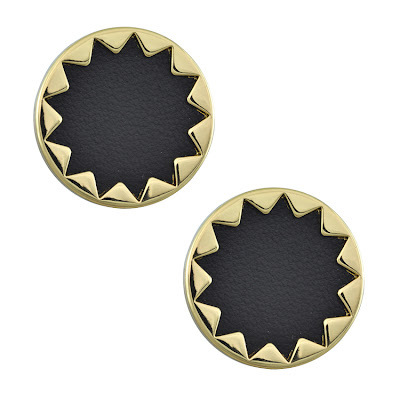 If you like your jewellery a little more low key, then you’ll love Miley Cyrus’ subtle studs. Perfect for complementing her rock-chic look, Miley sat front row at Rachel Zoe’s fall collection in earrings similar to these House of Harlow black leather beauties. 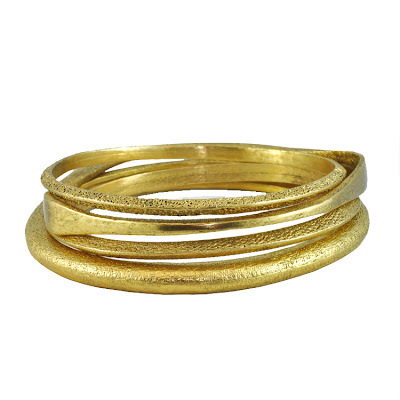 For a fashionable wrist, à la FROW style, you need to pile up the gold bangles as high as you dare! 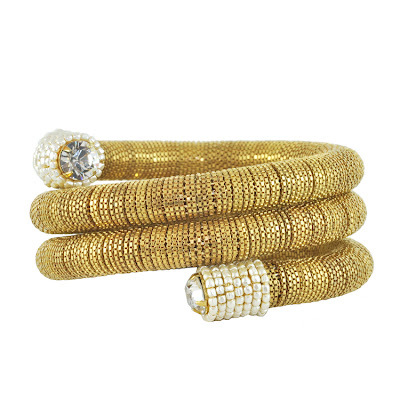 Get Eve’s Falguni & Shane Peacock show look with our Miriam Haskell Gold Chain Coil Bracelet or these 24K gold antique plated Elizabeth Cole Set of Gold Textured Bangles. 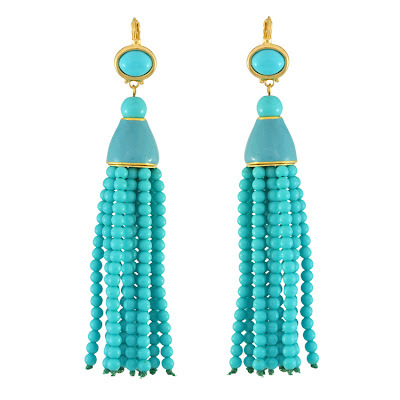 Turquoise brightened the day at Milly By Michelle Smith with Alicia Quarles’s exquisite Kenneth Jay Lane turquoise blue drop earrings. 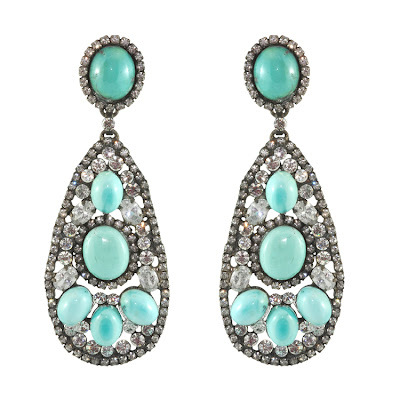 Steal her style and add a pop of colour to your ears with our Siman Tu Turquoise CZ Drop Earrings with so-chic cubic zirconia stones. 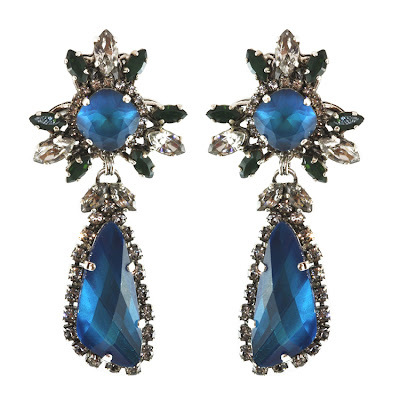 Alternatively these Erickson Beamon Bosa Nova Earrings will stop you feeling blue – beautiful, spirited, silver plated and enhanced with Swarovski crystals. Snowstorms may have delayed the shows, but the weather wasn’t stopping the world’s fasionista’s from making their scheduled appearance. Models, stylists, photographers, designers, celebs and journalists all made their way through the treturuous conditions to last week’s Mercedes-Benz Fashion Week in New York City. Listen up ladies! 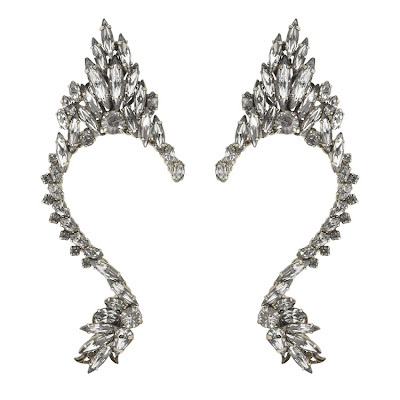 Both Aline Weber and Sofía Sanchez Barrenechea both adored their ears with the glitz and glamour of a Rodarte earring cuff. In fact, Sofía Sanchez Barrenechea also teamed her Rodarte gem with a co-ordinating Rodarte fringed leather jacket! 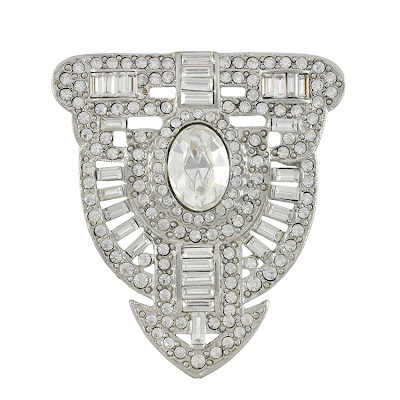 Get the rock-chic statement look for yourself with our very own Erickson Beamon Duchess of Fabulous Silver Ear Cuffs, complete with Swarovski crystals. 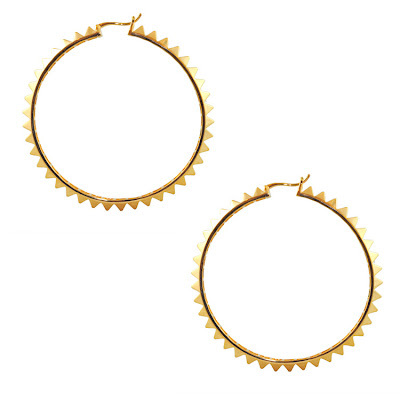 (You’ll receive two ear cuffs, one for each ear). We’ve even a matching ring available too. Girly girls will simply love an oversized bow headband, so it’s lucky we have quite a selection in stock! Ulyana Sergeenko looks truly lovely in her Chanel headband, even in the bitter cold. 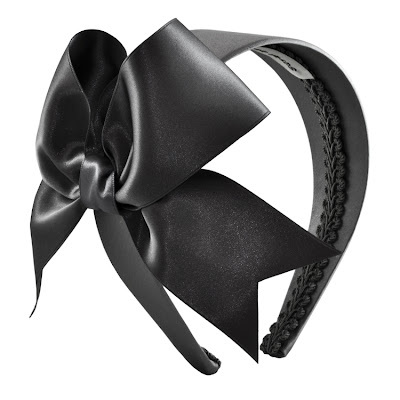 Steal her style with our Gossip Girl Black Satin Bow Headband or opt for our Jennifer Behr Black Velvet Bow Headband, handwrapped in rich black velvet ribbon. Alternatively if you love the look and want to ramp up the girly factor even further, choose a blush pink bow headband. 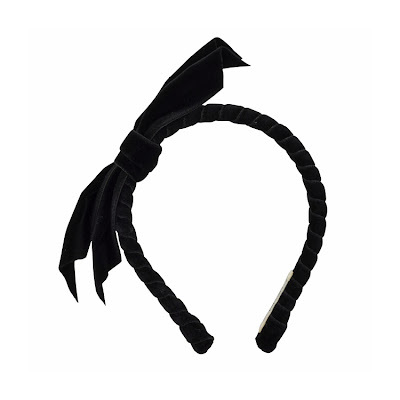 Try this Soft Silk Pink Bow Headband on for size. It’s also available in violet, black, and grey. Tina Leung knows style when she sees it – we’ve an exact match of her simply stunning Joomi Lim Metal Luxe Crystal Spike Necklace. Statement-making and oh-so-chic, these Swarovski crystals and brass spikes will add shimmer and sparkle to your daywear and evening looks too. 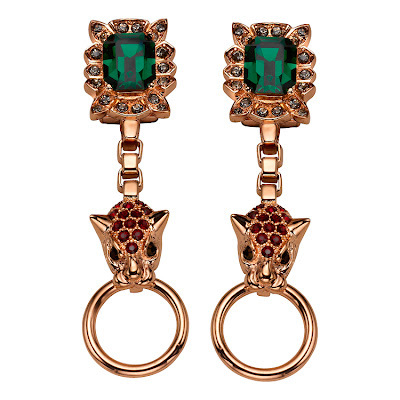 Gold animal pieces are everywhere right now. Not only did the ever-gorgeous, trend-setting Cara Delevingne wear her lion statement chain pendant to New York Fashion Week, Rita Ora donned hers front row at London Fashion Week. 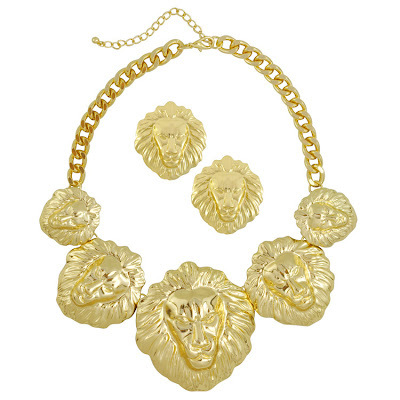 Show off your wild side with one of Sophie’s Closet animal gems, such as our Pink Pave Gold Five Lion Head Necklace Set or our Vintage Trifari Tiger Brooch and Earrings Set, ideal for channelling your inner tigress. Last but by no means least, the hoops still have it when it comes to stealing the show! 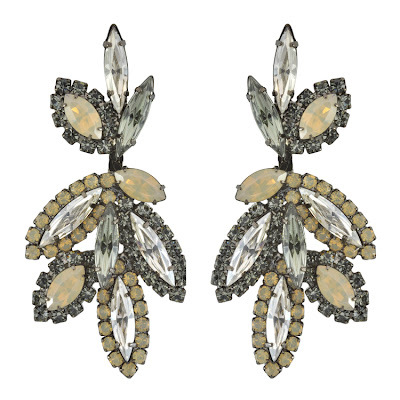 Michelle Harper ensured her ears were the main attraction with her oversized, stand-out, glam gold earrings. For a pair of your own gorgeous gold hoops, our Noir Large Gold Pyramid Spike Hoops offer everyday indulgence, whatever the occasion.